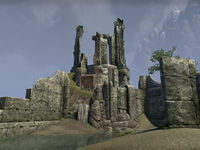 The crumbling walls, arches, and tunnels in Shrouded Pass are all that is left of Erokii, once the greatest Ayleid city in northwest Tamriel. Its destruction occurred so far in the past that no one today knows the date of its downfall. 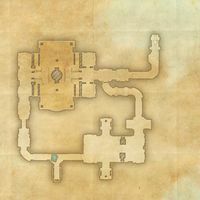 The Erokii Ruins are Ayleid ruins in northern Rivenspire, northeast of The Doomcrag containing Montclair soldiers.